Many of you probably already know that you can adjust the volume of your Mac’s speakers by pressing the volume keys on your Apple keyboard. The volume keys appear in the picture below. On my keyboard the volume keys are the F10, F11 and F12 key, but this is not the same on all Apple keyboards. 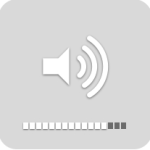 The three keys let you mute, decrease and increase your Mac’s volume. 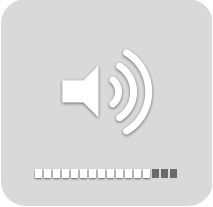 When you press either the increase volume or decrease volume key your Mac gives you both audio and visual feedback. The audio feedback is a short quack-like noise that I find difficult to describe in words. 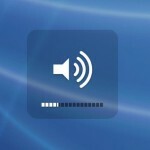 The visual feedback is an on-screen icon like the one that appears below – a speaker icon with 16 squares beneath it. 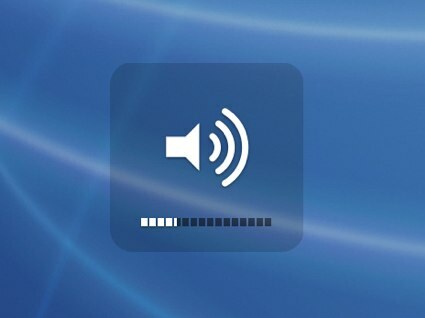 If you hold down the Shift key on your keyboard as you press either the volume increase or volume decrease keys, your Mac’s volume adjusts silently; there isn’t any audio feedback. If you hold down both the Shift and Option keys on your keyboard as you press either the volume increase or volume decrease keys, you’re able to adjust your Mac’s volume in smaller increments. The on-screen icon displays partially filled-in squares as shown in the image below. It’s not possible to combine these shortcuts, sorry. Read more about keyboard shortcut, volume, volume key.